Merrillville, Ind. 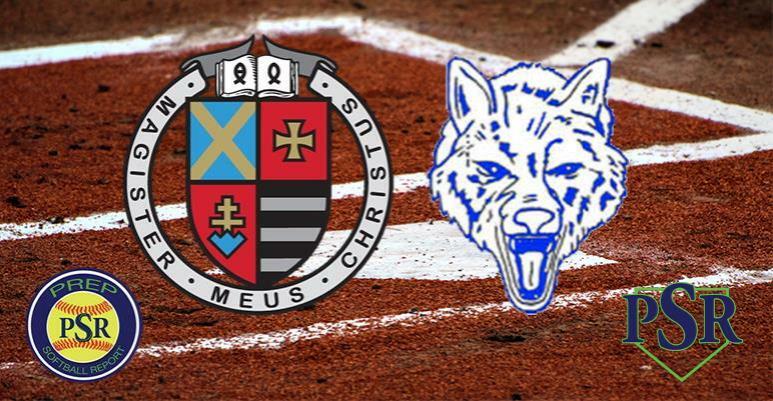 – The Andrean 59ers hosted the Boone Grove Wolves on Monday afternoon in a rematch of the 2018 Regional Final. The Niners leaned on sophomore Leah Navarro in the circle as Andrean took the victory 5-0. The Niners got on the board right away by scoring two runs in the bottom of the first. Back-to-back one-out singles from Karli Miller and Alyssa Graegin were followed by a wild pitch to put both runners in scoring position. Morgan Rudenga then strode to the box and delivered one of the biggest hits of the game. She flipped a base hit down the right field line to drive home both runs which gave Andrean a 2-0 lead. Boone Grove threatened in the top of the fourth as they were able to load the bases with only one out. Navarro stood tall though as she was able to get out of the jam with a 1-2-3 double play to end the frame. A leadoff single in the bottom of the fourth by Rudenga was followed by a groundout and a Navarro single to put runners on the corners with one out. Taylor Menke then grounded out hard to second base which allowed the runner to score from third to increase the lead to 3-0. The Niners tacked on their final two runs of the game on one swing of the bat in the fifth inning. With a runner on second and one out, Alyssa Graegin hammered a ball over the left-centerfield wall for a two-run homerun to make it 5-0. Navarro handled things the rest of the way as she was able to finish the complete game shutout with an impressive 11 strikeouts. Boone Grove struggled offensively on the cold afternoon, scattering four hits throughout the game. They were led by Kailyn Coates who finished the game going 2-3.